Discussion: So how do we visualize the transition ahead? Hosted by AG ZEIT for Time Grants in collaboration with Flutgraben e.V. The subsequent discussion will be moderated by Suza Husse, Zoë Claire Miller, Michaela Richter (AG ZEIT). Since 2013, visual artists have been calling on the Berlin Senate to create an autonomous tool for funding of independent artistic work. The Time Grants program, developed by artists and curators following an initiative by the bbk berlin, aims to be not only a pragmatic tool for the improvement of basic economic conditions for artists in Berlin, but in equal measure a nexus of collective reflection on themes such as current concepts and politics of artistic labor, forms of self-organization, art as a commons, or time as the basis for an alternative economy. With this, the Time Grants seize on discourses and practices that emerged in recent years from different international and local initiatives through which artists and cultural workers sought to organize themselves against their systemic precarization and exploitation, and for sustainable work and living conditions in art and society. This event at Flutgraben e.V. aims to activate these translocal relationships on the basis of the participants’ contributions in order to exchange experiences and strategies in the context of Time Grants and concurrent issues. Focusing on the link between artistic work and political practice, So how do we visualize the transition ahead? gathers protagonists of W.A.G.E., Haben und Brauchen, and AG ZEIT as well as artists who examine and rethink policies of labor, representation and the creation of value in art. Which structural problems should we address and how? What concrete changes, structures, instruments are to be realized and by which means? What forms of political work, of protest, communication and negotiation are used, by whom, and in which contexts? 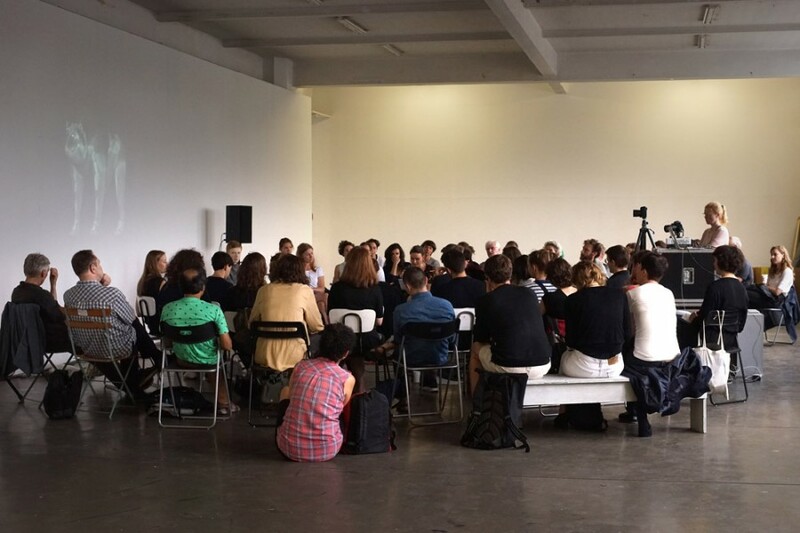 What role do artistic methods play thereby? How can these different initiatives interact in solidarity and reinforce each other on international and local levels? How are hierarchies, (self-) exploitation and exclusions within the alliances and activities of political self-organization dealt with? 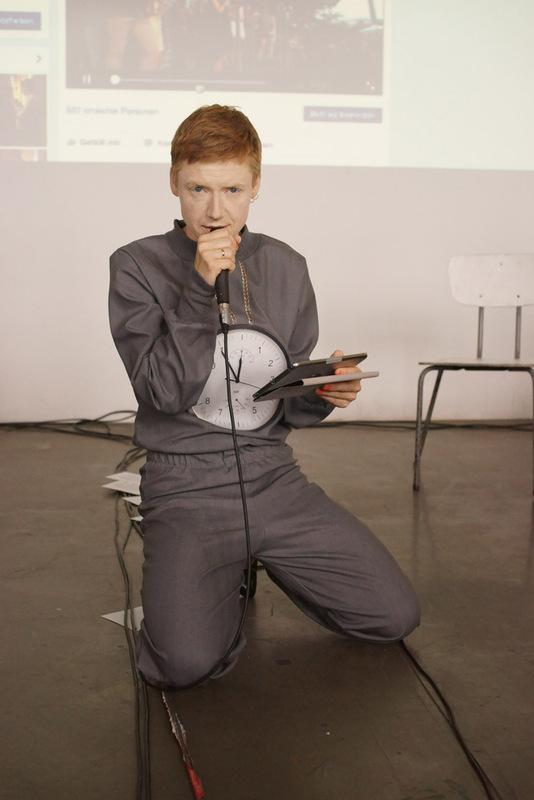 INSISTERE is a collaborative project of the artists Ulf Aminde and Sabine Reinfeld, founded in 2010. In their performative projects, INSISTERE examine the (power) structures of representative work in the field of art, and enact gestures of subjectification and resistance. Their figure Avatara Plenara Zeitstipendia was developed in collaboration with AG ZEIT as a political and symbolical representative of Berlin’s visual artists; to communicate their labor conditions and demands in parliament and in different public spheres. Pieterjan Grandry and Valentina Karga are artists living in Berlin. Looking at a neoliberal world, Market for Immaterial Value is an investigation of creating, validating and disseminating art in the era of immaterial economy. They create spaces both online and offline to do research on this through discussions, which they consider to be collaborations. Joshua Schwebel is an artist from Montreal, Canada, currently based in Berlin. His conceptual pieces are institutional critique, confronting dynamics of representation with the consequences of acknowledging the potentially radical content conveyed through art. 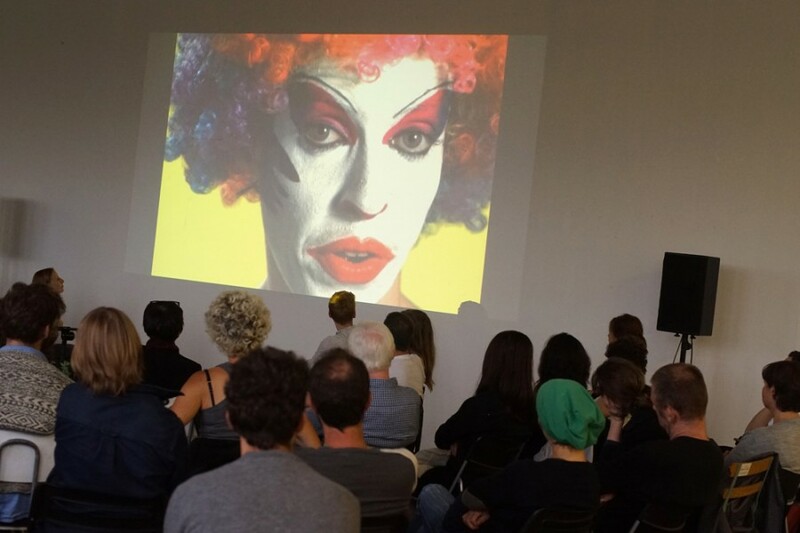 As a grantee of the Conseil des Arts et des Lettres du Québec at Künstlerhaus Bethanien, at present he is concerned with the question: As artists and cultural laborers, how are we party to the creation of living and working conditions that are in conflict with the radical ideals of our artworks? 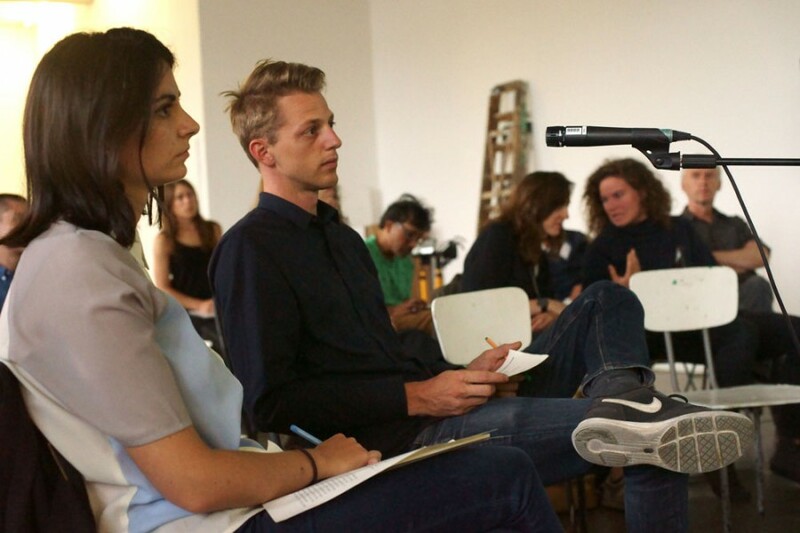 Marina Vishmidt works as a writer, editor, and critic occupied mainly with questions around art, labor, and value. She is a board member of W.A.G.E. Working Artists and the Greater Economy, a New York-based activist organization focused on regulating the payment of artist fees by nonprofit art institutions, and establishing a sustainable labor relation between artists and the institutions that subcontract their labor. Ina Wudtke is an artist. In her work she questions hegemonial political and social discourses and aims to reinforce subaltern counterdiscourses in fields such as identity, labor, urbanity and habititation. 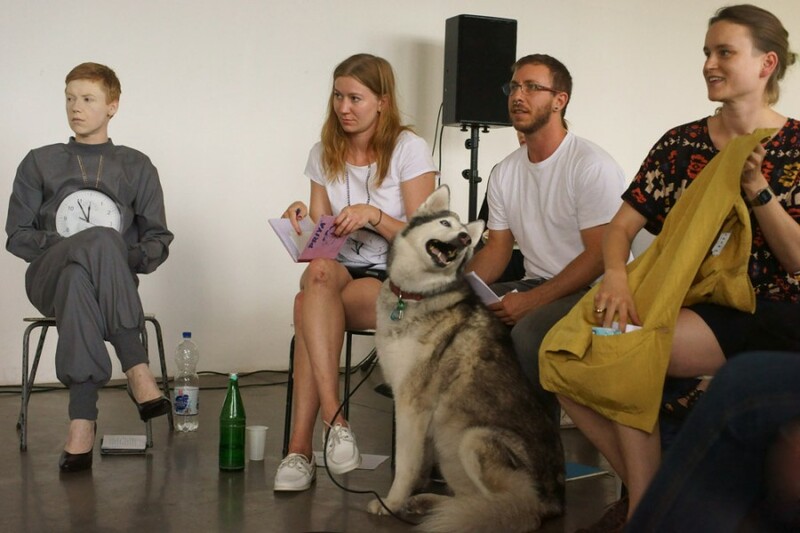 She is a member of AG ARBEIT in Haben und Brauchen, a platform for discussion and action founded in Berlin in 2011for artists and workers from adjacent fields. The goal of Haben und Brauchen is to build consciousness and self-understanding about what distinguishes today’s forms of artistic production and articulation in Berlin, and how these can be preserved and developed further. 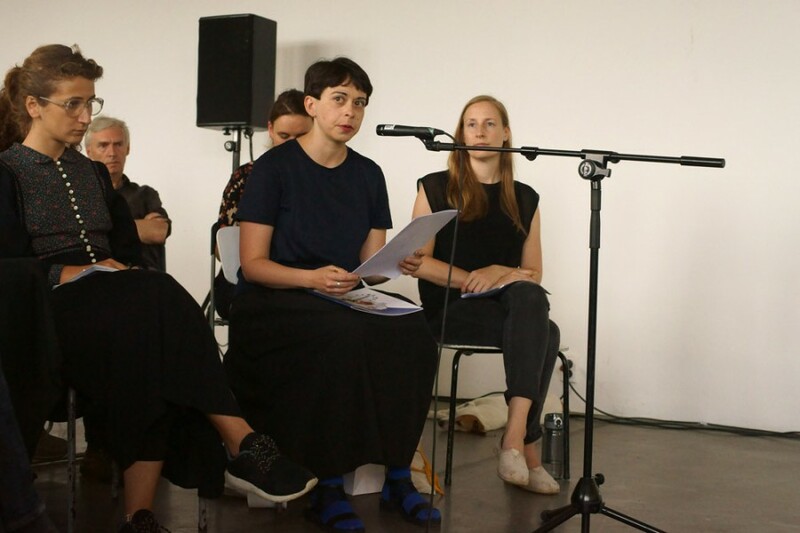 AG ZEIT is a group of artists and curators, coordinated by Suza Husse, Zoë Claire Miller and Michaela Richter and supported by Bildungswerk bbk berlin, running the campaign to realize Time Grants. Flutgraben e.V. is a not-for-profit organization, the production site of artistic work and part of a world-wide network of cultural institutions, projects and people from diverse social, scientific as well as cultural places – it develops new models of cooperation between these, and engages in innovative cultural work. This event is supported by Cine Plus.